A brand new BBC six-part television series filmed in the Galloway forest is set to show the world how amazing our region’s forest park and the people who live and work there really are. Narrated by Mark Bonnar, The Forest reveals the hidden world of the vast Galloway Forest. 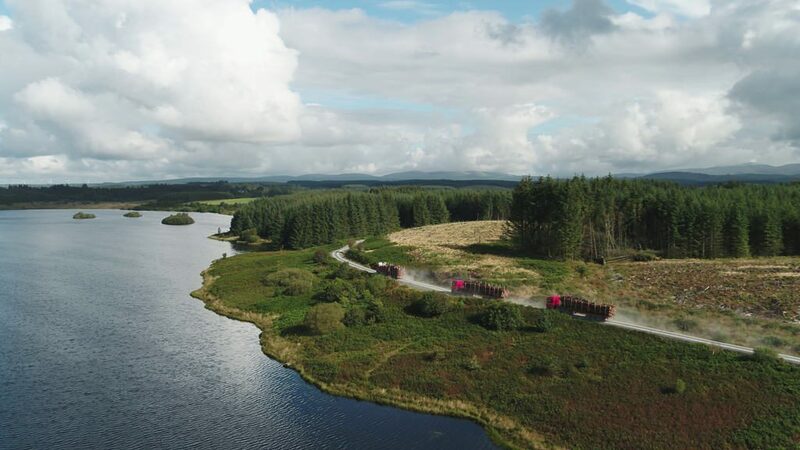 Join the amazing men and women who live and work in the place known as Scotland’s ‘Highlands in the Lowlands’ where 600,000 tonnes of timber is produced every year. With 400 square miles of dramatic woodland, magnificent scenery and abundant wildlife, it’s little wonder Galloway Forest is celebrated for its wild beauty and dark skies and attracts over 800,000 visitors each year. The Forestry Commission manages the forest for the public to enjoy but as Galloway Forest is also the major player in Scotland’s billion-pound timber industry it’s remit is huge. Established in 1947 to meet the demands for timber in post war Britain, today it is still the UK’s largest afforested area producing well over half a million tonnes of timber a year. Filmed over the course of six months, this spectacular series follows the extraordinary men and women who live and work in the Galloway Forest; from highly skilled chainsaw operators harvesting trees from the forest’s most dangerous terrain to the Wildlife Rangers protecting rare and endangered species; and from the tree planters who’ve planted a million trees to the sawmill workers who power through 20,000 logs a day. With a cast of dedicated foresters, astronomers, rally drivers – and even hyacinth macaw breeders, the series gives a unique and surprising insight to the world of Galloway forest, viewed by some as a park and by others as a factory that just keeps growing. The First episode is on BBC One Scotland tonight January the 8th at 7.30pm. More info here.